When you search for a city and enable the weather filter the weather is shown in Fahrenheit. How do I change this to Celsius. 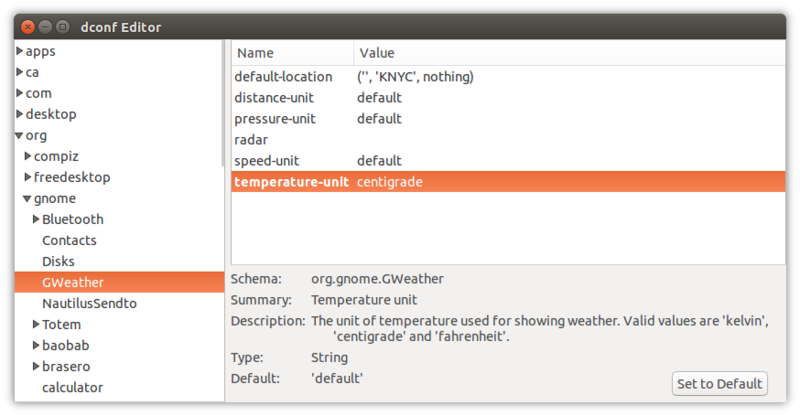 gsettings set org.gnome.GWeather temperature-unit "'centigrade'"
Alternatively, you can use dconf Editor to change the temperature unit and all the other Weather settings from a single place. 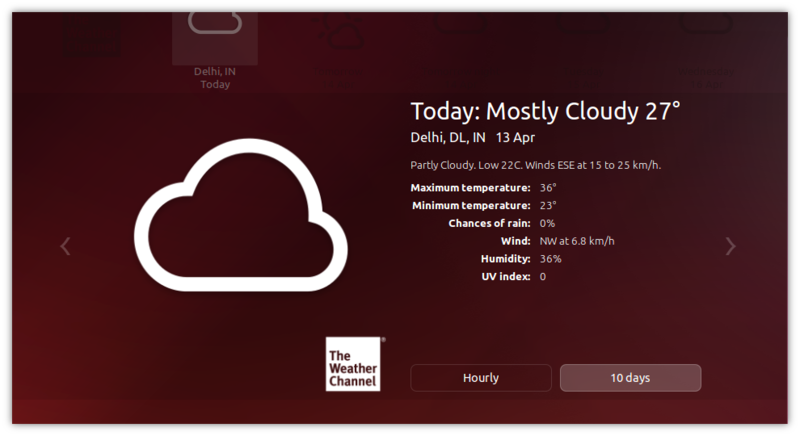 Navigate through org → gnome → GWeather in the sidebar. Then, change the temperature-unit and other settings as per your liking. How to change default “Categories” and “Sources” in Unity Dash? Unable to find any of my applications in Dash?